Last week, Apple launched the second-generation of AirPods, and now they are available for in-store pickup around the world, which means you can now get AirPods at your local Apple Stores, as it has begun arriving to customers, official mark the launch of the brand new ultra-popular earbuds. There are two new features that stand out from the previous one, one is that the new AirPods is powered by Apple's H1 Chip that enables "Hey Siri" functionality rather than the original AirPods' W1 chip. Another one is the ability to wireless charging with any Qi-based wireless chargers or the wireless charging case. Not only that, Apple improved synchronization of the second-generation AirPods: switching between devices while listening to music on iPhone, Apple Watch or iPad is more seamless than ever with two times faster connect times. 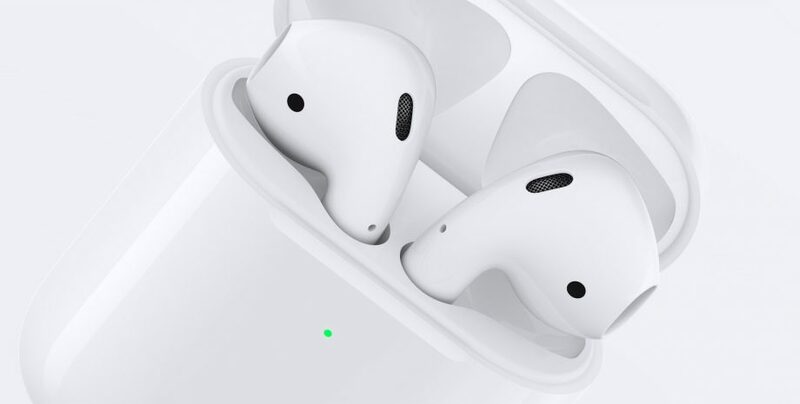 AirPods 2 adopted the latest Bluetooth 5.0 technology, which apparently supports a wider range and improved sound quality, though some users say they haven't noticed any differences. For pricing, the new AirPods will cost you a $159 when purchased with a standard charging case and $199 with a wireless charging case. Additionally, they are also offering the wireless charging case for $79, where you can use it with the original AirPods.